The image on the right is a page from the 17th July, 1926 passenger list of the S.S. Rimutaka which sailed from Southampton to Wellington and Lyttelton, New Zealand (click on the image to see a larger version). The complete list of passengers has been retyped for this website (click here). 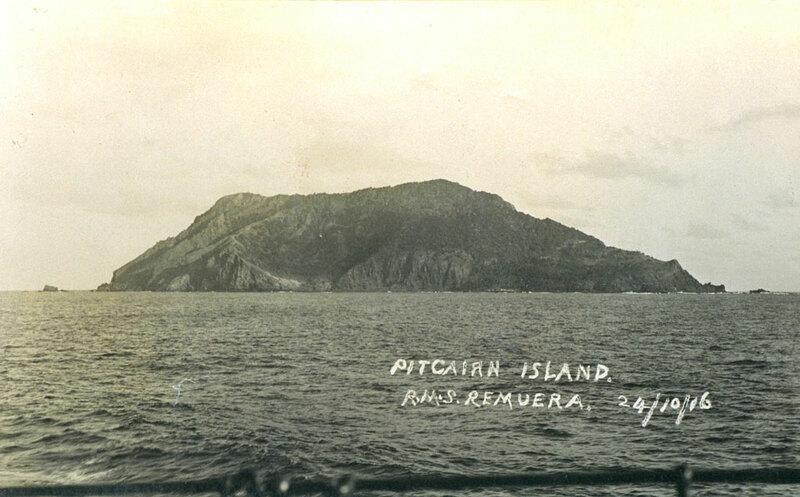 The photograph at the top of the page, in the oval picture box, is reproduced from part of a 1916 photograph (below) which was taken from the Remuera by the ship’s barber Henry George Keyse. The caption on the photograph was written, as a mirror image, on the negative so that it would appear on each print when sold as a postcard souvenir. 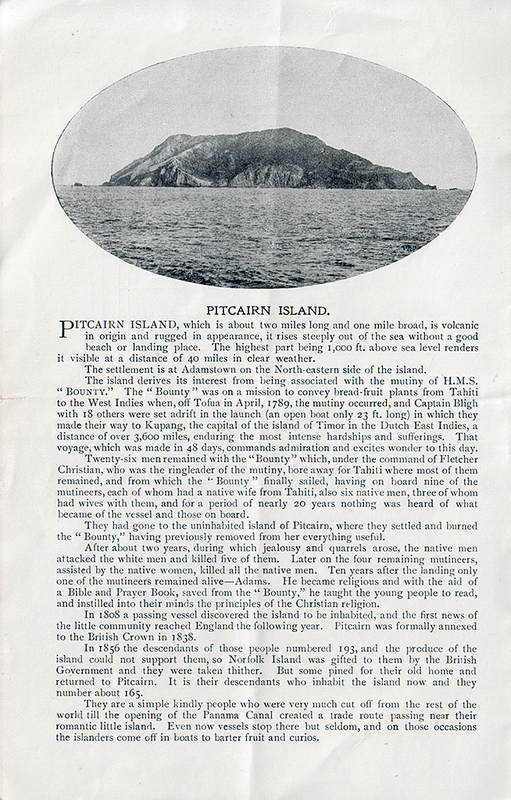 It is difficult to write in mirror images as can be seen by the letter “R” in Pitcairn which has been written the wrong way round. When the photograph was used in the passenger list, it was cropped just above the ship’s railing and the lettering was carefully painted out.